What a great morning it has been! 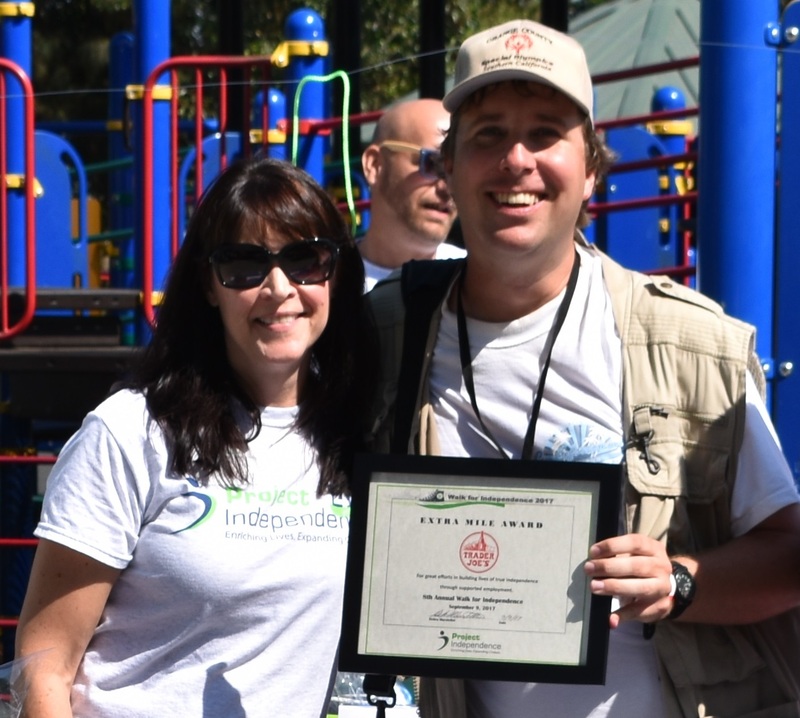 My name is Tom Peale, and it is my pleasure to be here today to congratulate Trader Joe’s on receiving the Extra Mile Award from Project Independence. Trader Joe’s has been a tremendous employer. They have trained and guided me, always in a kind and supportive way, and provided me with skills so that I might be successful in the workplace and in life. Being part of their crew has changed and enriched my life in so many ways. I am sure I speak for all P.I. clients who work at Trader Joe’s when I say, “Thank you!” for all you have done for us and for Project Independence.